Give A360 a call today and have your carpets cleaned professionally! We are currently in the thick of winter. Experts have already predicted that we will have a considerable amount of snow over the next few months. As a commercial business owner, it is in your best interest to get your carpets cleaned sometime over the next few months. Keep reading and discover a few reasons why you should pick up the phone and call A360 Cleaning to get your carpets cleaned professionally this winter season! It is important for business owners to realize that dirty carpets will affect the air quality of your establishment. Since people spend more time inside that outside during the winter season, the air quality tends to be not as good. Most people do not know that winter is the driest time of the year. Since this is the case, many people will make the argument that this is the best time of the year to clean your carpets because there is less of a chance for mold to grow. For whatever reason, people wait until the warmer months of the year before they pick up the professionals to service their home or property. There is no reason why you need to wait until the spring season to have your business’s carpets professionally cleaned! Generally speaking, you will have an easier time scheduling an appointment with a cleaning team because they have significantly more availability this time of the year. If you want to lengthen the life expectancy of your carpets, you need to continuously remove dirt from the fibres. 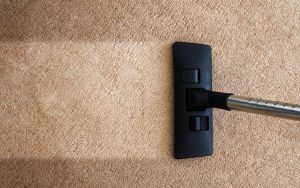 This is especially the case for high-traffic areas where dirt and other forms of debris are continuously being jammed into your carpet fibers. This entry was posted on Friday, January 11th, 2019	at 3:53 pm	and is filed under Commercial Cleaning	. You can follow any responses to this entry through the RSS 2.0	feed. Both comments and pings are currently closed.